Those are the exact words that I spoke to a rheumatologist 8 years ago. My Emma was only 3 and didn’t understand that when she came running to Mommy (as little ones do) that is rocked and racked my body in a way that even I didn’t understand. If I couldn’t understand it, how could I expect a 3 year old to? I couldn’t so I grinned and hugged her back, but when that doctor asked me what I wanted most? That was my answer. How I wanted to smack that man. I’m not violent by any means, but I abhor when someone assumes something about someone. I didn’t want pain medication.. I didn’t want a chemical cocktail that would make me sleep so much that I couldn’t parent. I didn’t want a medication that came with so many side effects that I needed another medication to combat them. What I wanted was answers. Okay, all I really wanted was answers and maybe a little bit of compassion. It took me 7 years to find those answers and honestly? Not a single one came from the medical community. Every single one came from either my own or other people’s observations. They came from 7 years of “what if we tried this” and “I wonder if this would work?” They came from 8 years of fear. Finally after all of the testing and trying to figure it out, I put it all together and came up what I hoped would be something that would work. One of the things that we realized was that the pain and stiffness I had been feeling for years was tied, at least in part, to the amount of chemicals that were in our home and our food. It was also very nutritional based. In short, there were too many bad things around my home (chemicals) and not enough good things going into my body (nutrients). As a result, we have removed as many of them as possible and the first thing we started with was our cleaners. It may sound silly or off the wall, but if you really sit and think about it, almost everything we touch is full of chemicals that can harm our bodies. Some things more than others, but for me and I’m sure others like me, those daily products turned on us and became something that was destroying our lives. I lost over 8 years of my life to chronic pain, headaches, sleep issues and fatigue that was so bad some days that I couldn’t get out of bed. I have missed so much of my life. Luckily though? Between removing as many chemicals as we could in our lives and a very specific vitamin, supplement and nutritional routine, I don’t hurt. There are days where I wake up stiff, but it’s gone in just a few minutes of gentle stretching. I won’t say that I what we’ve done is a miracle cure but it was my miracle cure. Where a year ago, I would swell and cry as I tried to simply walk from room to room, where my husband had to help me wash my hair and shave my legs, where I was terrified I was going to end up like my Mother (bed ridden due to chronic health issues), I can now live life. Just last week I went mini-golfing and rode go carts with my family. A year ago I wouldn’t have been able to even get into the car. It doesn’t get much better than that. We all seem to be under the impression that something has to be expensive or mass produced to be worth anything. That everything from cleaners to shampoo to tortillas are all better because a company makes them. In truth? Some of the best cleaners and beauty products I have found have been the ones made in my kitchen. At this point, we make about 75% of what is in our home and I mean everything from homemade shave cream and homemade shampoo to homemade pasta sauce and homemade all-purpose cleaner. I really, really don’t like to buy something these days if I can avoid it. The simple fact is that those products that I used to love so much are simply not good for my body. There are names for it. Mild chemical sensitivity, multiple chemical sensitivity, call it whatever you want. For some of us, those products on the Walmart shelf can literally be the difference between having a life and illness that prevents you from living the life you want to have. That’s where this homemade floor cleaner came into play. I adore a popular floor cleaner and had been so very brand loyal to it over the years. My body however doesn’t like is so when I needed something to clean my hardwood living room floor with, I turned to this. Know what? If I were to be completely honest? I would tell you that it works better than the stuff I used to buy and that its so much cheaper. If nothing else, I adore my homemade items because not only do I feel human again, but for the most part, my budget is much lighter! I mean really! Why pay $4.00 or more for a small bottle something I can make better at home for $1.50 per gallon?! 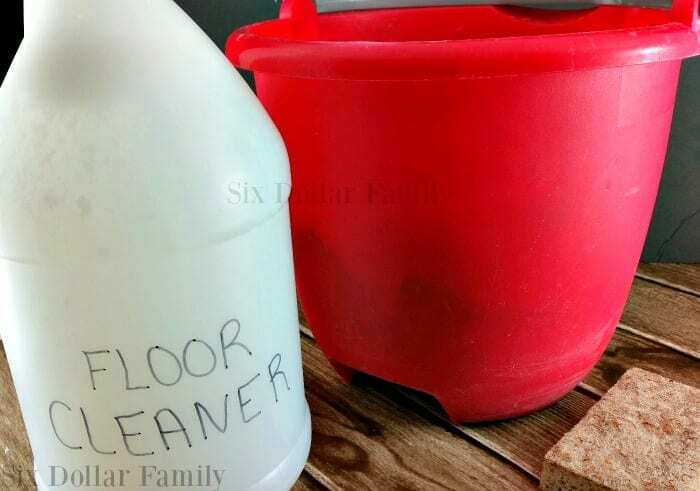 This homemade floor cleaner recipe does use essential oils. I personally prefer to use Now Foods brand essential oils. You can use whatever you want. I’ve used quite a few brands though and find that NOW brand is every bit as high quality as the more expensive ones. As far as scent, you can use whichever you want. I personally use lemon because it has additional disinfecting properties and tea tree oil for its properties as well, but it’s really a personal choice. The oils listed below are what I personally use. Just swap out the oil scents for something else if you don’t want to use mine. Before you yell at me about having so much oil. 75 drops comes out to 1/8 oz which creates a 1% blend. Add the warm water to your gallon container. I recycle white vinegar containers just for this, but you can use any gallon container you want. Just be sure to rinse it well. One at a time, add the baking soda, rubbing alohol, white vinegar, oils and Castile soap. Be sure to shake it well to mix after adding each one and make sure to add and mix the Castile last. It will create suds and if you add it anywhere other than last, the suds can make it hard to get it mixed well. 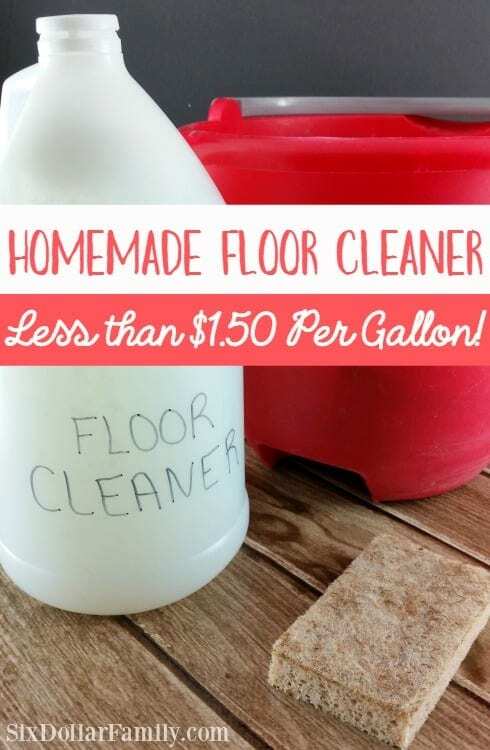 To use, add 3/4 to 1 cup of your homemade floor cleaner to your mop water and clean your floors like normal! If you’re working with extremely dirty floors, you can use up to 2 cups to get it clean. Your floor cleaner sounds great! Quick question: Does this leave a haze on your floor? Every homemade hardwood floor cleaner I have made has left a haze on my floors. I just had new wood floors installed in my master bedroom and don’t want to mess them up. Thanks for your tips! Candace, it hasn’t our floors, but I would do a small test in an inconspicuous area to be sure it won’t on yours just to be sure. Do u still use bleach for anything? I like to put it in my towels when washing… if not…what do you use in place of it? Gina, I have a reaction to bleach so we don’t use it at all. It makes me feel as if my throat is closing up and makes it hard for me to breath. 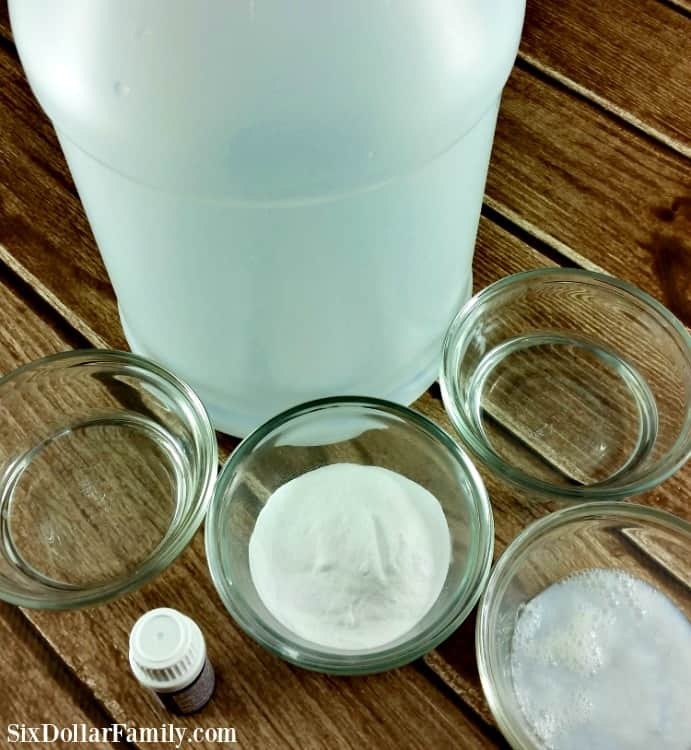 I hope you don’t mind me shareing my recipe for home made bleach. I have made it several times and love it! It works better then “Clorex’. I put mine in a qt canning jar and marked it bleach. It will last up to 1 month if not in a brown paper bag or kept in dark cabinet other wise 2-3 monts. While seeking out natural cleaning products (my dad taught me well) I came across your blog and this post. Perhaps I am just a naive Canadian, but perhaps the physician knew that narcotics weren’t going to (over all) help you hug your daughter and not an assumption? *Most* physician’s I have – lucky – met believe in the Do No Harm credo. Unfortunately in this case, no. It was in his sneer and tone of voice. Drug seeking patients are a huge issue here in the US and unfortunately, a lot of doctors just assume. Quote ” I lost over 8 years of my life to chronic pain, headaches, sleep issues and fatigue that was so bad some days that I couldn’t get out of bed. I have missed so much of my life.” and “His reply? “We’re not going to give you narcotics.”. This sounds sooo like my 8-10 past years! At one time I had stated to a doctor that I cant even sit in the floor and play with my 4 year old son. I have went to several different doctors with different specialties and they all want to diagnosis me with Fibro, Chronic Fatigue Syndrome, Severe Depression and several others. Each one has said the same thing about the narcotics. Do they really think that someone that is drug seeking would go through that many doctors AND test? I keep saying ” they are not diagnosing me correctly.” and all I can do is to take the prescriptions they give me which only helps a small amount. When I read this article I wondered if that is whats going on with me. 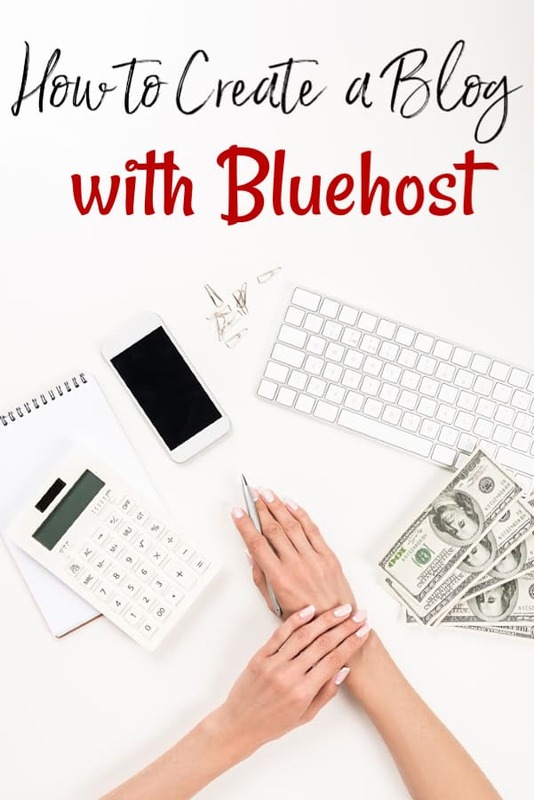 I am a frugal girl to start, but I am going to try to make just about all of these recipes on your site to see if this helps me as well. I can’t thank you enough for sharing your story. I am very hopeful going in this direction will help me as well. Laura, when he said that to me, my reply was “I don’t want drugs. I just want to be able to hug my daughter.” She was 3 and didn’t understand why Mommy had “buggies” in her body that made her sick. If you get the chance, take a look at THIS post. I break down the supplements and things I use to manage the pain. It also gives a bit more of my backstory. Thank you so much!! I know, I hate that they have made our visits seem like WE are the drug seeker. I am the same way. I just want fixed, not cover up the symptoms. I feel like I am not myself due to my issues and all the meds they have me on. Anyway, Thank you so much for sharing your story.